A woman who suffers from breast cancer means that there are malignant cells formed in the tissue of her breast. Not a lot of people know that breasts actually consist of around 20 sections of lobes and ducts. Ducts are thin tubes which are connected to the lobes, lobules and bulbs. Apart from these, each breast also contains blood vessels and lymph vessels. Breast cancer is not the most common cancer type in women in America; it is in the second place behind lung cancer. However, the number of deceased of breast cancer has decreased from 1999 to 2006. 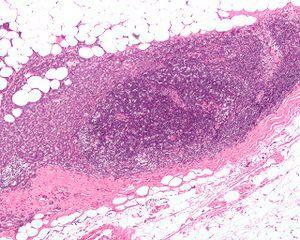 Men can also suffer from breast cancer but these cases extremely rare. Every person should take certain actions in order to lessen the chance of suffering from breast cancer. Preventive methods have significantly decreased the number of people who suffered from any kind of cancer. In order to prevent breast cancer, a person first needs to know the risk factors and protective factors. Risk factor is anything that will increase the chance of ending up with cancer. The opposite thing is a protective factor. A person should know that certain risk factors can be avoided. However, many cannot. For instance, smoking is a risk factor that can be avoided. On the other hand, inherited genes cannot be avoided. Some of the best protective factors are regular exercise and a healthy diet. People should know that preventive methods do not guarantee that a person will not get infected with cancer but will significantly decrease the chances. A person who changes his or her lifestyle and eating habits and starts avoiding facts that cause cancer has a better chance to remain cancer free. Apart from smoking, obesity is another risk factor that can be avoided. A person can consult the doctor about some other ways to prevent ending up with cancer. Estrogen is one of the most common risk factors of breast cancer. A woman who is exposed to estrogen for a long period of time has a greater chance of developing breast cancer. Women should know that the levels of estrogen are the highest during the menstruating years. Hormone replacement therapy or hormone therapy can also increase the chance of developing breast cancer. Exposure to radiation, obesity and alcohol drinking are also some of the known risk factors. Inherited risks are also possible as well. Exercise is probably the best way of preventing breast cancer. Apart from that, a woman can decrease the length of time the breast tissue is exposed to estrogen.